Brenda and I went to go me see to movie The Blind Side tonight. What a great way to end 2009. Wow, what a real life story of two polar opposite ends of the spectrum of culture meeting and making a hugh difference in each others lives. 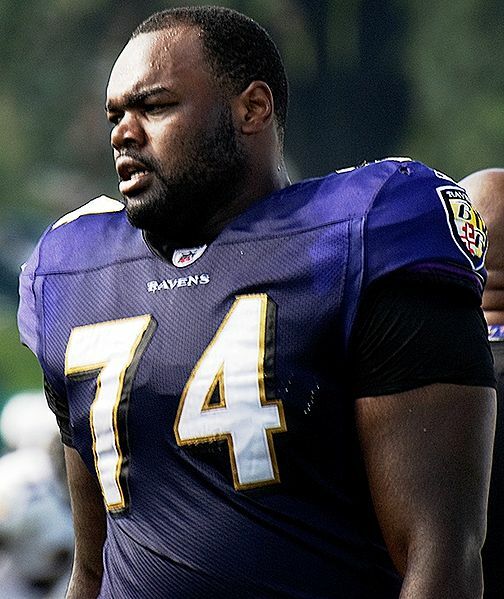 The Blind Side is a story of unconditional love that is the perfect family film. A rarity these days . 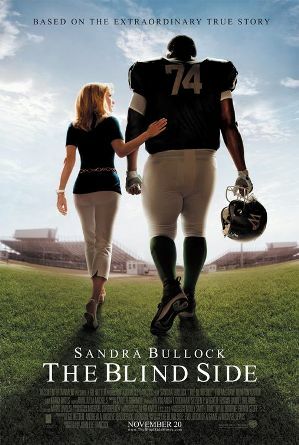 The Blind Side is simply, one of 2009’s best movies for families or anyone who seeks, appreciates or enjoys pure inspiration of the highest level. You can watch Michael Ohre play with the Baltimore Ravens in the last regular season NFL game this weekend. Really looking forward to Rob Bells’ “Drops Like Stars” gathering in Phoenix February 19 @ Tempe Center for the Arts. And I’d love to see you there. For the last Sunday of 2009, we will look at what God calls us to and the trust we must have in knowing that what lies before us is greater than what we leave behind us . Instead of allowing the negatives from the past year into the new year, lets decide to leave it behind in 09′ so we can move ahead . Here is the outline for this weekend’s message. Stuff We Should Leave Behind from 09′. 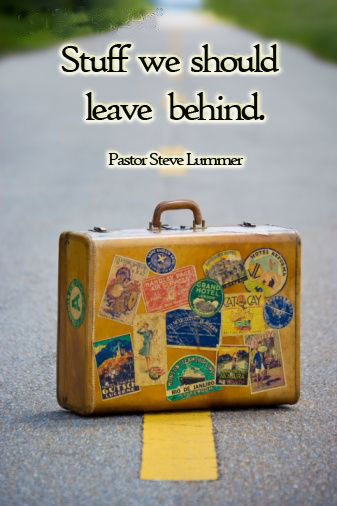 Our baggage weighs us down and hinders us from moving toward our God intended future. Shake off the dust of Bad DAYS. Shake off the dust of Bad DEEDS. Shake off the dust of Bad DEBTS. Two types of anger expressed in the Bible. “Thumos” is anger expressed . “Perogismo” is anger repressed . 1. It Takes Control Over Me. 2. It Effects All Of My Other Relationships. 3. It Damages me Spiritually. 1. I Need To Forgive With A Positive Attitude. 2. I Need To Forgive Others Like God Has Forgiven Me. 3. I Need To Forgive To Release my Future. 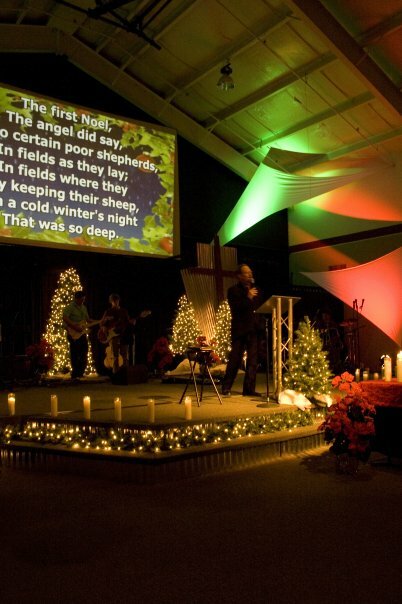 Pastor Steve, should we put up a Christmas tree in our house? Isn’t the Christmas tree based from a pagan origin? Well, I wanted to post on this blog just to clarify the answer I give year after year. The modern custom of a Christmas tree does not come from any form of paganism. There is no evidence of any pagan religion decorating a special holiday tree for their mid-winter festivals, although the Romans celebrated the winter solstice with a festival called Saturnalia in honor of Saturnus, the god of agriculture. 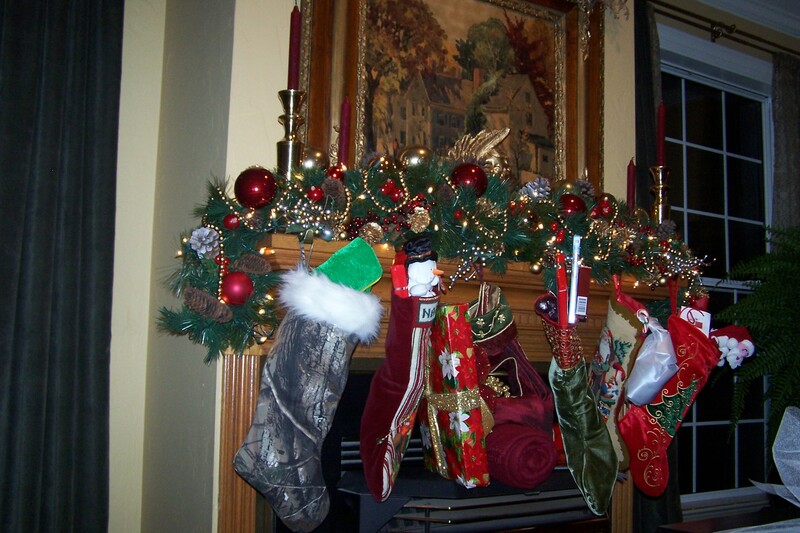 They decorated their houses with greens and lights and exchanged gifts. Late in the Middle Ages, Germans and Scandinavians placed evergreen trees inside their homes or just outside their doors to show their hope in the forthcoming spring. 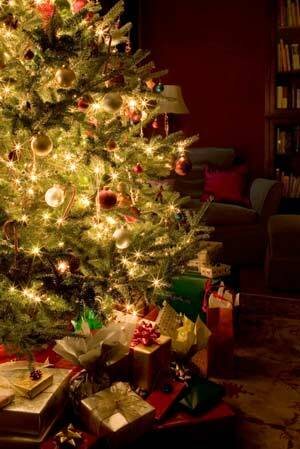 The first Christmas tree was decorated by Protestant Christians in 16th-century Germany. Our modern Christmas tree evolved from these early German traditions, and the custom most likely came to the United States with Hessian troops during the American Revolution, or with German immigrants to Pennsylvania and Ohio. There is nothing in the Bible that either commands or prohibits Christmas trees. It has been falsely claimed by some that Jeremiah 10:1-16 prohibits the cutting down and decorating of trees in the same manner as we do at Christmas. However, even a cursory reading of the text makes it clear that the passage is one in which Jeremiah sets forth the prohibition against idols made of wood, plated with silver and gold, and worshipped. A similar idea appears in Isaiah 44, where Isaiah speaks of the silliness of the idol-worshippers who cut down a tree, burn part of it in the fire to warm themselves, and use the other part to fashion an idol, which they then bow down to. So unless we bow down before our Christmas tree, carve it into an idol, and pray to it, these passages cannot be applied to Christmas trees. There is no spiritual significance to having or not having a Christmas tree. Whatever choice we make, the motive behind a believer’s decision about this, as in all matters of conscience, must be to please the Lord. Romans 14:5-6a sets out the principle in a passage about liberty: “One man considers one day more sacred than another; another man considers every day alike. Each one should be fully convinced in his own mind. He who regards one day as special, does so to the Lord.” The Lord is grieved when Christians look down upon one another for either celebrating or not celebrating Christmas. This is spiritual pride. When we feel that somehow we have achieved a higher plain of spirituality by doing or not doing something about which the Bible is silent, we misuse our freedom in Christ, create divisions within His body, and thereby dishonor the Lord. “So whether you eat or drink or whatever you do, do it all for the glory of God” (1 Corinthians 10:31). When it comes to Christmas my advice is to light it up full throttle. Just wanted to post this opportunity for you to join me in a celebration of Christmas Communion this Thursday night. 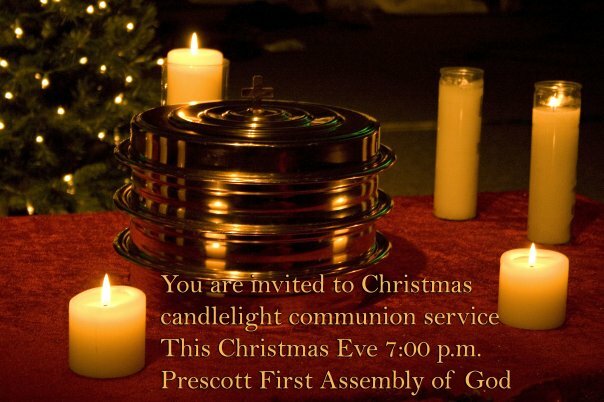 Christmas Eve Communion Service in Beautiful Prescott Arizona. Celebrating Christmas Eve with family and friends. A time to remember and a time to rejoice. 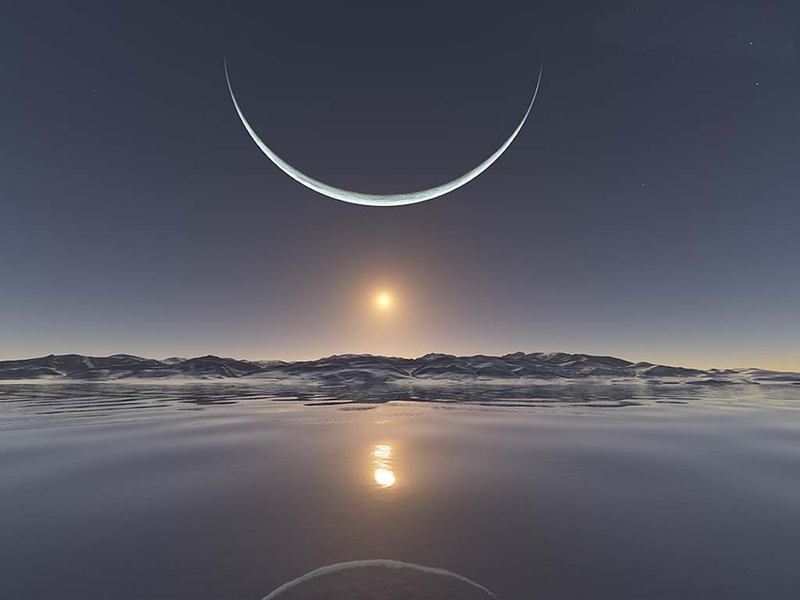 Here we are at December 21 and the winter solstice that marks the shortest day and the longest night of the year. The sun appears at its lowest point in the sky, and its noontime elevation appears to be the same for several days before and after the solstice. Hence the origin of the word solstice, which comes from Latin solstitium, from sol, sun and stitium, a stoppage. Following the winter solstice, the days begin to grow longer and the nights shorter. 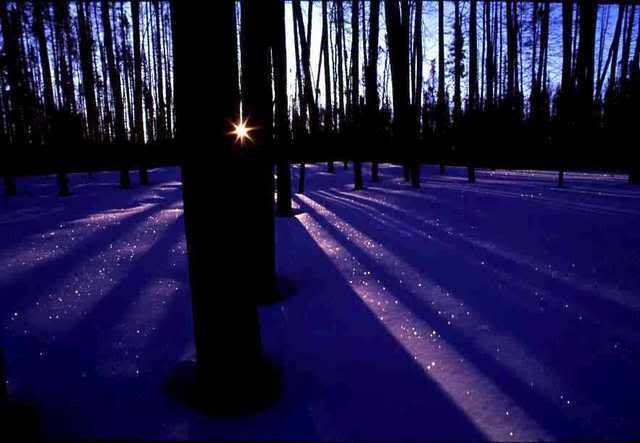 Your solstice could be the darkest night of your life. The time when you feel like cannot see your way through. Here are a few thoughts on seeing through your darkest times of your life. Usually God’s purposes are revealed and His power displayed, in our darkest experiences when like Gideon you ask, “If the Lord is with [me], why has…this happened?” When there seems to be no rhyme or reason, God’s promise is, “I will give you the treasures of darkness, riches stored in secret places, so that you may know that I am the Lord…who [calls] you by name” (Isa 45:3 NIV). Anybody can be faithful in good times, but standing “by night in the house of the Lord” (Ps 134:1 NIV) takes real commitment. Hymn writer George Matheson wrote: “Will I remain in God’s house at night…love Him for who He is…know I desire not the gift but the Giver? When I can remain…during the darkness of night and worship…I’ve accepted Him for Himself alone.” When the Israelites faced their greatest challenge, the Red Sea, the Bible says, “All that night the Lord drove the sea back” (Ex 14:21 NIV). Be encouraged, God is working, even though you can’t see Him. After all, how can God give us “songs in the night” (Job 35:10) if the sun always shines? Jesus said, “What I tell you in the dark, speak in the daylight” (Mt 10:27 NIV). It’s in life’s dark places that God shares things which strengthen you, and encourage those around you. The Solstice or darkest night of your life can be an opportunity to see what you cannot see in the bright of day. Take the darkest places and let God transform them into your brightest places. Opposites attract but only up to a point. 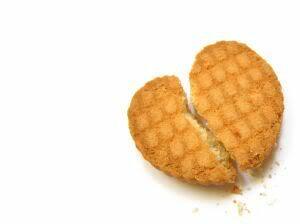 One of the main reasons many couples break up is that they have not enough in common. This can happen early in a marriage or even sometimes, as it seems recently in growing numbers, after the children have moved out of home. Couples find they have nothing in common. Nothing left to talk about. 1. ARE RELATIONAL DEATHS PREDICTABLE? 2. ARE RELATIONAL RESURRECTIONS POSSIBLE? Forgiveness takes ONE – Reconciliation takes TWO. * Stop USING YOURSELF AS A FRAME OF REFERENCE. * Start ASKING GOD TO HELP ME SEE THEM AS THEY ARE..
* Stop RESENTING THE WAY THINGS ARE. * Start FORGIVE THE WAYS THINGS HAVE BEEN. * Stop FANTASIZING ABOUT THE FUTURE. * Start ACTING IN LOVING WAYS.